Dr. Kevin Larsen, vice president for academic affairs, has recently returned from a three week trip to Israel (May 26 - June 17, 2017). 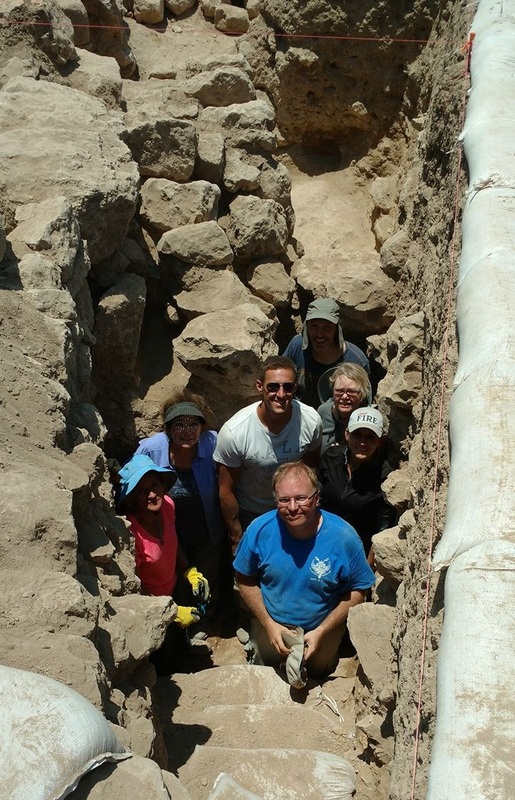 The purpose of the trip was to join the organization "The Associates for Biblical Research" in their first season of doing archaeological work at ancient Shiloh in Israel. This trip marks Dr. Larsen's third trip to Israel to engage in archaeological research. Prior dig experiences include working at Khirbet el-Maqatir and Ashkelon. Work that Dr. Larsen participated in during the dig season focused on excavating the Middle Bronze Age (c. 1700 BC) wall on the northwest side of the site. Previous excavations in the 1930s and 1980s revealed the defensive Canannite wall on the north and west side of the tell. One of the objectives was to connect the two extremes. A long standing objective of the excavation, which will cover several years, is to identify more incontrovertible evidence for Israelite occupation of the site during the time of the OT prophets. The Bible indicates Israelite occupation. Modern scholars deny the accuracy of the biblical account. 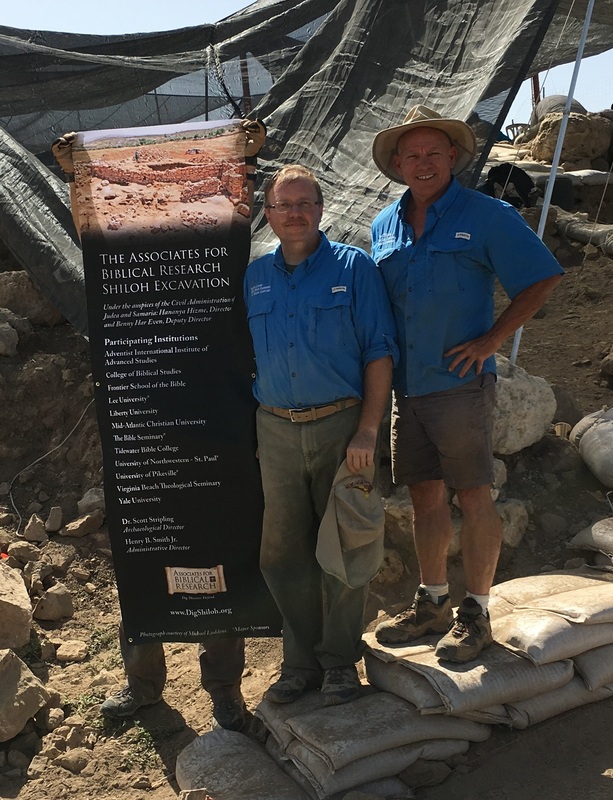 Pictured left with Dr. Larsen is Dr. Scott Strippling the director of excavations with ABR at Shiloh. Pictured right is Dr. Larsen with group of volunteers in square AD29 at ancient Shiloh. On the left side of the picture is part of a Byzantine era (AD 300-600) construction built up against the outer face of the Middle Bronze Age (c. 1700 BC) wall.